Though none of the set photos from the upcoming Godzilla reboot have shown the monster, or even teased his new look, they’re still interesting to see. 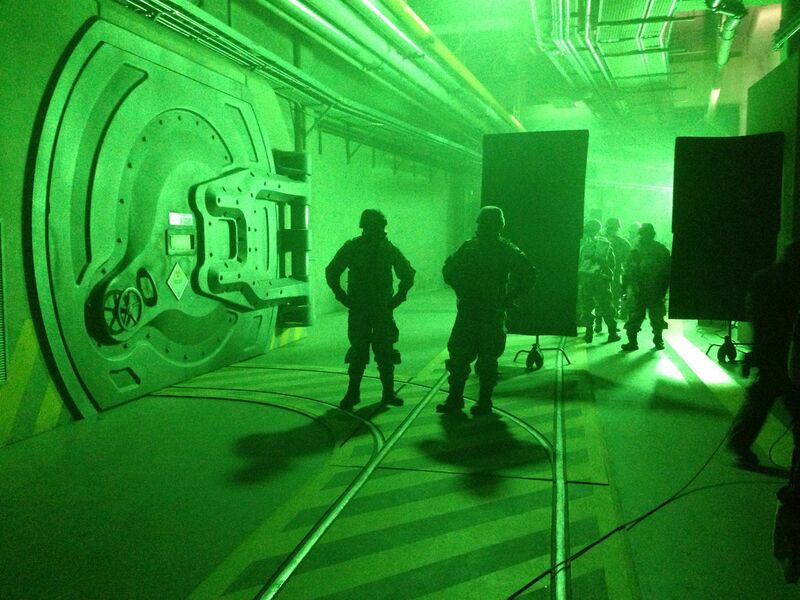 This latest image comes with the caption “What’s behind the radioactive containment doors?” Could it be what causes Godzilla’s growth spurt in the first place? Sound off with your theories below. Starring Aaron Taylor-Johnson, Ken Watanabe, Elizabeth Olsen, Juliette Binoche, David Strathairn, Bryan Cranston and Sally Hawkins, Godzilla hits the big screen May 16, 2014. Click the image to see a bigger version!